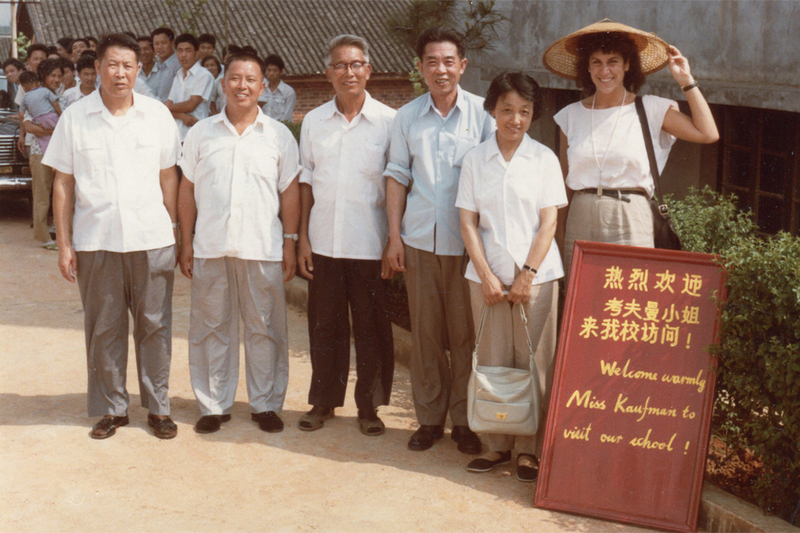 Joan Kaufman visits a rural school as part of her work for the United Nations Population Fund (UNFPA), in the 1980s. Joan Kaufman is a fascinating figure: Her long and storied career in China started in the early 1980s, when she was what she calls a “cappuccino-and-croissant socialist from Berkeley.” Today, she is the director for academics at the Schwarzman Scholars program at Tsinghua University and a lecturer in the department of Global Health and Social Medicine at Harvard Medical School. Joan shares some stories about her time in China at organizations like the United Nations Population Fund and the Ford Foundation, including a visit to a condom factory in the 1980s. She discusses the newest developments in the China educational and non-governmental organization (NGO) sectors after the adoption in 2016 of new laws regulating foreign NGOs, and the realities of working on the ground with NGOs in China. We also talk about current trends in China’s openness to U.S.-China academic partnerships, and questions of censorship at the China campuses of U.S. universities.